Pretty cottages set in the heart of the delightful village of Braithwaite. Both have all the comforts and facilities to make your stay a memorable one. Stanger Cottage is a lovely traditional cottage which rests conveniently within the small community village of Braithwaite. The cottage is spacious and homely with comfortable and modern fixtures and fittings and offers a haven for rest and relaxation after long outdoor adventures ensuring a great family holiday. All rooms have fantastic views of the fells which are literally on the door step and is just a stride away from the village pub and shop with the Whinlatter Forest park being simply a few minutes drive away. The modern, light living room has matching 3 and 2 seater settees, log burning fire, TV with DVD and CD player. There is a spacious, well equipped kitchen/dining room with solid wood dining table, 6 chairs, large dresser with magnificent views of Grizedale Pike and Barrow. The dining kitchen is fully fitted with dishwasher, microwave, fridge freezer and washing machine with dryer. The wide spacious staircase leads to two bedrooms and bathroom on the first floor. The master bedroom has a double bed with matching wardrobe, dresser and bedside tables which stand on original floorboards. The second, twin bedroom, also has a stripped pine wardrobe with double drawers and bedside cabinets. 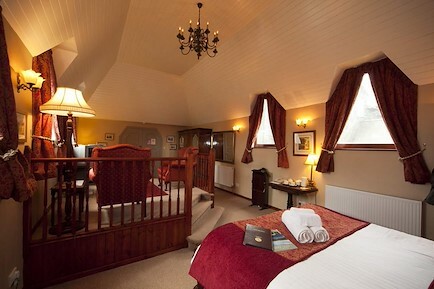 Both bedrooms offer great views of the Fells. The white bathroom has 3 piece suite with shower over the bath and folding shower screen with views of Skiddaw. There is an attractive patio area with green slate paving, seating and small stone storage shed. Parking is available to the front or side of the cottage. As well as the log burning stove there is electric storage heaters throughout. Free WiFi is included. Millside cottage is a lovingly maintained spacious two bedroom cottage, situated in a peaceful part of Braithwaite. There are many endearing characteristics including a beamed ceiling and an attractive fireplace. The small sun room overlooking the garden is a lovely feature with comfortable wicker chairs and table, ideal for afternoon tea and reading. South facing garden to the back of the cottage, with views of Braithwaite's own 'Wainwright' Barrow and also Skiddaw. With easy access to many local walks and Whinlatter Forest, Millside is a favourite for many. Free unlimited WI-FI and private parking for two cars. Millside Cottage is situated close to the centre of the village and a short distance from the village shop. There are two dedicated parking places at the front of the property. The cottage has full gas central heating, double glazing and is lovingly maintained with wonderful views of the fells. It is spacious, cosy and well equipped offering very comfortable accommodation for any time of year. The entrance porch opens into a spacious, well decorated, lounge with a beamed ceiling, a living flame gas fire which has a remote control, and a leather suite. The lounge is well equipped with TV, video, and DVD. It has a CD with a mp3 and ipod docking station, and also a good selection of films, programmes and music. From the lounge you enter the dining kitchen which has a fully fitted kitchen with built in appliances, including oven, 5 ringed ceramic touch control hob, microwave, washer dryer, fridge and freezer and dishwasher. There is a dining area with table and four chairs with views out to the secluded garden. From the kitchen there is a small sun room with comfortable wicker chairs and table, ideal for afternoon tea and reading. This leads to the well kept enclosed garden which is ideal for families and those sunny days in the Lake District. It has a paved area with table and chairs, many different flowering shrubs and views out towards the fells. Upstairs there are two bedrooms, one bedroom with bespoke king size bed and one twin with two singles, both with built in wardrobes. The large bathroom has both a bath and a shower cubicle, and a wash hand basin (the view of Barrow Fell from the bath after a day on the fells is definitely recommended). There is a separate WC next to the bathroom. One bath towel and one hand towel are provided per person. Your enquiry will be sent directly to Millside & Stanger Cottage. Please fill in as much detail as you can.